The Liberian foundation, modeled on the 1993 modern Austrian law of foundations (Stiftung), is a useful and flexible vehicle, used for various purposes, including charitable, public and personal. Liberia have since WWII been one of the worlds largest and most well reputed international shipping bases. Many of the worlds leading cruise operators, tanker owners etc. are formally based in Liberia. Legal entities like a foundation is an expansion of the types of legal vehicles available from this jurisdiction. Similar to all foundations, the Liberian private foundation is a separate legal entity and all assets transferred to it, usually in the form of a gift by a donor, are irrevocable and the sole property of the foundation. The private foundation is established through the memorandum of endowment, and an initial endowment (Donation/Gift). 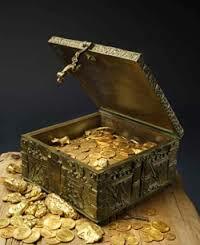 The donor(s) cannot withdraw the assets once they are donated or endowed to the foundation. The assets are placed at the disposal of the foundation. As with the donor, there are no statutory restrictions on the residency or nationality of the officers or secretary. Moreover, there are no requirements for assets to be located in Liberia. There are minimal filing requirements with Liberia, thus protecting the privacy of the beneficiaries and the donor. Once formed, there is a mandatory annual return for the privatefoundation, which must be signed by the Secretary and submitted to Liberia. The annual return confirms that the information filed in the extract is correct and that proper accounts are maintained. Liberia does not require submissions of financial accounts, nor are they required to publically file such information. Any changes or amendments to the extract must be filed with Liberia. A foundation domiciled outside Liberia may, if permitted to do so by its constitution, apply to migrate its domicile to Liberia. In the same way, Liberian law allows for conversion of any recognised entity to a private foundation, provided its own constitution allows for this. Liberia imposes no gift tax on the donated assets at the time the private foundation is established. Moreover, any income generated by the assets of the private foundation is exempt from tax in Liberia. However, there may be tax implications for the beneficiaries in their respective places of domicile for any income they receive. In conclusion, a foundation is useful for preserving wealth and for asset protection, and allows for flexibility in international tax planning. The above gives a brief overview of how a Liberia foundations. Underlining the increasing role of the Luxembourg financial center in the internationalization of the Chinese Renminbi (RMB), Luxembourg’s Finance Minister Luc Frieden announced the launch of a new web portal dedicated to the development of activities linked to the currency in Luxembourg. The new web portal forms part of ongoing efforts over the past few years to promote and to further diversify the Grand Duchy’s financial market and to secure the future of the financial center. The Government’s strategy for developing the Luxembourg financial center is based on four axes, namely strengthening existing pillars, creating new products and services, promoting the financial center abroad, and diversifying the financial center geographically. 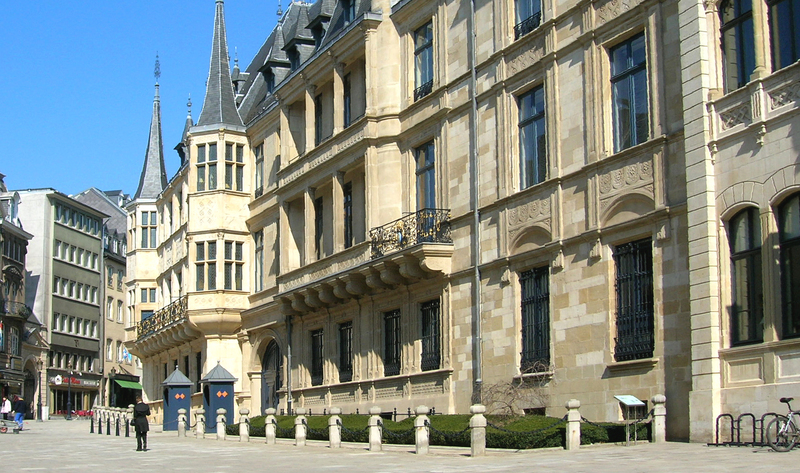 The Grand Ducal Palace, Luxembourg. Picture courtesy of Ernmuhl. Underlining the importance of positioning Luxembourg more internationally in a global financial market, Frieden explained that, given its rapid economic growth, China constitutes “an ideal partner.” Similarly, China is committed to internationalizing the RMB and is currently looking for access to global financial markets, the Minister pointed out, alluding to the fact that the Bank of China and the Industrial and Commercial Bank of China both now have their European headquarters in Luxembourg. Luxembourg already plays a significant role in the international trade of the RMB, Frieden continued, citing the fact that RMB40bn (USD6.5bn) in deposits are held in the Grand Duchy and that RMB62bn in loans have been issued, and noting that 40 RMB-denominated bonds are listed on the Luxembourg Stock Exchange. Trade in the RMB and access to the RMB are vitally important for the Luxembourg financial center, in particular for the funds industry, Frieden ended. The Luxembourg Government is not only reflecting constantly on the financial center’s future, but also on Luxembourg’s future economy and taxation, to ensure that its tax regime remains competitive and attractive for investors. At the same time, Luxembourg aims to guarantee legal certainty for investors, by ensuring that it is tax compliant, adopting the latest international regulations and standards in tax matters. The Isle of Man’s Treasury Minister Eddie Teare has welcomed the announcement of Royal Assent to new legislation that would permit the establishment of foundations in the territory, enhancing its position as a centre for international wealth management. Determined to increase the attractiveness of Liechtenstein as a finance centre, the principality’s state parliament has adopted the government’s bill for a comprehensive reform of taxation, and has given the green light for the law to enter into force as planned on January 1, 2011. According to the government, the modern, competitive new tax system fulfils current requirements for legislation that is both internationally compatible and in accordance with European law. Designed to be more transparent, the new simplified tax law retains the traditionally low tax rates to prevent an increased fiscal burden on individuals, excepting those with particularly high income. Indeed, as a result of the new tax structure, the tax burden will be reduced for families and taxpayers on low income. Following the state parliament’s meeting, Liechtenstein’s Prime Minister Klaus Tschütscher welcomed the decision to adopt the historic reform of the country’s taxation after almost 50 years of the existing law. According to Tschütscher, the adoption of the modern tax law once again reinforces Liechtenstein’s political credibility and its ability to reform. The new law will serve to strengthen the principality in the current drive towards globalization and to improve the attractiveness and stability of Liechtenstein’s financial centre, he added. The reforms usher in a simplified system for individuals calculating their own taxes. As regards the taxation of real estate and land, this will follow the same practice as before. Inheritance and gift tax will be abolished for individuals to avoid multiple taxation. Currently, inherited or donated money is already subject to wealth and acquisitions tax. In general, however, the principle is that acquired income should basically only be taxed once during the course of an individual’s lifetime. The government’s tax reform aims to strengthen Liechtenstein’s position in terms of international competition, as it is all too aware that tax rates are one of the key factors in business location. Consequently, the new tax law, which was developed in close cooperation with industry, is designed to provide companies located in Liechtenstein with better opportunities to structure themselves and to adapt to global competition. The introduction of the new flat rate tax of 12.5% for all companies will ensure that all companies are taxed equally. With only a few exceptions, all businesses will be required to pay a minimum income tax of CHF 1,200 (EUR 908). According to the government, the unequal treatment of foreign and own-capital will also be removed thanks to the introduction of the company own-capital interest deduction. Provisions on group taxation will also be included in the new law. As a result of these changes, the government believes that it will be even more attractive to set up a new company in Liechtenstein. As regards legal entities, coupon tax and capital tax will be abolished, although coupon tax will still apply to any reserves as at December 31, 2010. However, in the first two years following entry into force of the new law, there will be the possibility to calculate this tax at a reduced rate of 2%. Thereafter, the tax will be calculated at a rate of 4%. The government’s decision is designed to enable a company to re-invest its capital and will serve to further increase Liechtenstein as a business location. As under the existing law, legal persons that exclusively pursue charitable goals, will be exempt from tax. In the areas of both civil and tax law, the same concept of charitable status will also apply. The tax law provides that legal persons can be used to manage wealth as an independent legal person and indeed as a private asset structure (Privatvermögensstruktur – PVS), provided that the PVS is exclusively active in wealth management and does not engage in any other economic activity. The government maintains that by making the new tax law compatible with European law, this has increased legal certainty, in particular for financial intermediaries and for their customers. The tax policy now complies with European standards. Commenting on the reform, Prime Minister Tschütscher stated that it is a big step towards a successful future and has served to dramatically increase the economic location of Liechtenstein as a result.